Gold has long been revered as a symbol of wealth and prosperity and it has an intrinsic value as well as being used as a currency as a method of supporting the flat money of various countries when people lose faith in that nation’s paper currency. Gold is primarily viewed and used as an investment and also enjoys enduring popularity through the jewelry created with the precious metal. It is also used in some industrial applications such as a component in computers. Buying Gold as an Investment – why should you invest in gold? A significant reason why people invest in gold is that it has performed admirably in holding its value over the long-term in comparison to other assets like paper currency, some coins or even stocks, which can lose their entire value if the company goes bust. The traditional view, which is supported by historical evidence, is that gold offers an excellent hedge against inflation and if you were to look at the years where inflation was at its highest since the second world war, you would see that gold outperform the Dow Jones by some margin on each occasion. This aspect of gold prices tends to encourage investors to think that the only time to invest in gold is when inflation is on the rise or in times of financial uncertainty or when the political climate is volatile. You can find statistics to support the theory that gold prices often rise when confidence in governments is low and it is sometimes referred to as the crisis commodity, due to the fact that investors tend to seek the comfort of gold in times of tension in the world. Production of new gold from mines has actually been in decline since we entered a new millenium and a large percentage of the supply of gold introduced into the market since the 1990’s has actually come from gold bullion sold from the vaults of central banks. There has been a slight revival in production output recently but as it takes anywhere between 5-10 years to bring a new mine into full production, so we are yet to see the impact of this in the market. The general rule is that a reduction in the supply of gold will help to fuel an increase in gold prices, based on simple supply and demand principles. An increase in the wealth of emerging economies and a subsequent rise in the so-called middle-classes, has certainly helped to boost the demand for gold. It should also be remembered that gold is deeply ingrained in the culture of some countries and India is the best example of that, being one of the largest gold-consuming countries on the planet. China deserves special mention too, as gold bars are a traditional form of saving. The growth in wealth of consumer in China will help to fuel growth in demand for gold for the foreseeable future. Investors are also demonstrating an appetite for gold as more of us seemingly take the view that a commodity such as gold should be viewed as investment class worthy of consideration and want to make it part of their allocation of funds. Evidence of this interest in gold can be seen by learning that one of the largest ETF’s in the United States, joined the ranks of the largest holders of gold bullion, just four years after it was launched. Not everyone likes the case for gold and Warren Buffet is rather famous for not liking gold as an investment, but many other shrewd investors consider it to be an essential part of a diversified investment portfolio. We take a look at how to invest in gold on other pages of this website and you can consider the merits of either investing in physical gold such as buying bullion or coins or speculating using ETF’s amongst other ways of gaining an exposure to this popular precious metal. It should be noted that although the price of gold can demonstrate volatility in the short term, history has so far shown that it is more than able to maintain its value over a longer period. It also does often provide a good hedge against inflation and the potential erosion in the value of major currencies, so it is an investment that needs consideration. A reasonable percentage of long term investors tend to add some gold to their investment portfolio and whilst many are aware of the fact that adding a precious metal like gold which is not correlated with other asset classes enhances their risk/reward profile, there are some facts about gold bullion that they may not be aware of. The term bullion actually applies to either coins or bars and it is also interesting to note that gold is one of the heaviest metals and is over 19 times heavier than water. One of the reasons why gold tends to retain its perceived rarity value and hold its value over time, is the fact that the world’s gold supply only increases by an average of 2,000 tons per year. Despite the amount of gold produced throughout our history, you could still fit the entire world’s supply of the precious metal into a cube that measures just 65.5 feet. The most popular coin in terms of volume of sales is the American Eagle which was first produced in 1985 and the heaviest gold bullion coin that you could acquire is the Australian Kangaroo, which weighs 32.15 ounces. The material value of gold is influenced by three specific factors, condition, purity and weight. Gold bullion represents the purest form of the precious metal and it can be acquired as bullion bars (also known as ingots) or coins. If you see a dealer advertising 100% pure gold, you should be suspicious. This is because bona-fide gold dealers never advertise 100% pure gold, due to the fact the forging process used introduces small traces of other substances and therefore makes it impossible to declare absolute purity. The highest quality bullion that you can obtain is 99.99% pure and collectors and investors should ideally search for proof-quality coins which bear no marks from wear or use. If you are interested in buying gold as part of your investment strategy, there are numerous ways to acquire a physical holding or gain exposure to the precious metal through a fund or trading platform. If you want gold that offers a combination of intrinsic and potentially rising investment value, your primary consideration should be to consider gold bars or coins. Gold bars come in metric sizes and are available to purchase at the prevailing gold price for that day, plus a premium to cover manufacturing and marketing. The important thing to remember is that the smaller the bar you buy, the higher the premium you will probably have to pay. A one-gram bar could have more than a 40% premium attached to it for the retailer whereas a 1 kg bar will obviously cost you considerably more to acquire, but the markup is probably more likely to be in the region of 5%. We recommend BullionVault – the world’s #1 online bullion dealer. Gold coins are popular with buyers and 22-carat sovereigns enjoy enduring popularity, especially amongst British investors. The value of these coins varies according to their intrinsic value as well as when they were minted, having an influence on their price and value. Modern coins dated from 2000 onwards will cost more than their immediate value but sovereigns that were made in the late Victorian period can offer the potential for greater gains due to their rarity, but this means they will also be more expensive to acquire. It could be argued that gold ETF’s are not technically funds, due to the fact that they follow a single security. The purpose of an ETF is to track the gold price via the stock exchange and you can speculate whether the price is going to rise or fall and profit or lose according to how right your opinion was in a specific period of time. ETF’s are regulated financial products and you can expect to pay a dealing commission on each trade that is probably around 0.4%. There are specific unit trusts and investment trusts listed on the stock market which invest in the shares of gold mining companies and other commodities. Investing in one of these trusts can provide you with exposure to gold without the need to actually buy any of the precious metal itself. You will find that these specialist funds can be quite volatile and gold mining equities can often be more volatile than the gold price, but patient investors might be rewarded with a mixture of patience and good-timing. You might decide that you would prefer to invest directly in a publicly-quoted company and buy shares of companies that trade or mine gold. The share price of individual companies is no less volatile than investing in a unit or investment trust and you can expect plenty of noticeable fluctuations in the value of these companies, but they could still be a reasonable portfolio diversifier if you have the right risk attitude to tolerate the volatility. A number of investors who are looking to buy into gold, will often question which is the better option, gold bullion or coins? It is hard not argue with the fact that for a fairly serious and large-scale investor, buying gold bars is a very simple and efficient method of obtaining direct exposure to the precious metal. Economies of scale often mean that the larger bars are usually available at the lowest premium to their actual intrinsic value. Smaller value gold bars generally cost more per ounce in order for the seller to maintain a profit margin and to account for production costs. Buying a kilo bar of gold may well work out cheaper than buying smaller bars but you will often find that your choice of buyer is restricted due to the size and value of the gold you have in one bar, meaning you may well end up selling to a dealer who deals in greater quantities than a private buyer. There are a number of advantages and benefits to buying gold bars. The main advantage it offers is that gold bars are relatively easy to trade, so you should always be able to find buyers and sellers in the market, which is not the case when it comes to some gold coins. Another key selling point is that the premium you pay when buying gold bars is normally lower than you would pay when acquiring coins. if you are prepared to negotiate the best deal, it is often possible to acquire a gold bar at close to the spot price of gold with a small premium added. The other reason why gold bullion is so popular with a number of investors, is that you are holding physical gold, so it provides a level of comfort that you are holding something of value that remains yours whatever happens to the economy and stock markets, although its value will rise and fall in response to the influential factors. There are millions of gold coins being bought and sold on a regular basis and they are relatively easy to acquire with numerous dealers and outlets selling different types of gold coin to investors and collectors. Gold coins should have a high level of gold purity and certain coins like the American Eagle and the Canadian Maple Leaf are popular with buyers. There has been a shift away from coins towards investing in gold through ETF’s but there are signs more recently that sentiment may well be returning to trading in coins like the Maple Leaf, which is attractive to investors as it weighs in at a manageable 24 carat gold. There are certainly disadvantages to investing gold coins and one aspect that is off-putting to investors is the fact that prices have been seen to fluctuate fairly wildly at certain times, so timing can be critical to when you make a purchase. It should be noted that gold coins as an investment, should be held for a minimum of three years in order to see any potential upside in their value and buying coins should not therefore be viewed as a short term strategy. You also need to be vigilant when it comes to buying coins and arrange to keep them yourself rather than agree for someone to store them on your behalf. Although there are many reputable dealers who will not sell you gold coins that don’t exist, there are some scams around that agree to hold what turn out to be non-existent coins on your behalf and take your money, so always take physical possession of your coins in the first instance. There are pros and cons to buying coins and the same comments apply to buying bullion, especially if you are looking at buying larger quantities. There are certain situations where some coins might offer a better resale value compared to bullion and although a larger percentage of investors would probably come down in favor of buying bullion over coins, you should also consider that older types of coins can often be sold at a premium. It all depends on what your personal preference is with regard to collecting and holding gold, but from a cost perspective, larger gold bars are often the most cost-efficient way of acquiring physical gold. Certain coins can turn out to be a better investment than bars and there is also the fact that more dealers, jewellers and individual collectors worldwide will be wanting to buy coins than there are bullion dealers, so it is potentially giving you more options for selling. Both gold coins and bullion often attract a premium when you are buying them so you need to factor this into your sums when you are deciding whether to buy coins or gold bars. A common dilemma posed to investors who want to gain some exposure to gold, is whether they should acquire some physical gold in the form of bullion or invest in some stocks for gold producers. As with a lot of these either or questions, the answer has a lot to do with timing and market sentiment rather than being simply a matter of one option being better than the other. If you take a snapshot of the performance of gold bullion and stocks in the third quarter of 2014, this is the point where gold mining stock returns were able to outpace bullion for the first time in about 24 months. As of August 2014 the NYSE Arca Gold BUGS Index was displaying a 22.31% return for gold stocks whereas the yellow metal itself, was lagging behind at 7.74% for the same period. It would of course be foolish and financially dangerous to take a set of figures in isolation and try to make a case on the strength of the numbers, however impressive they appear. As with any form of investing, it is always better to take a longer term view in order to try and establish how you might want to invest in gold. If you took at look at the position in 2012 for example, you would have noted that the price of physical gold had gone up by 110% from where it was in 2008, whereas the BUGS Index had only risen by 15% and the Market Vectors Gold Miners ETF (GDX) had only increased in value by 7%. These two sets of figures illustrate that market sentiment and economic conditions can influence whether gold bullion or gold stocks rise or fall and one can do better than the other at certain points. Some investors are off the opinion that mining stocks offer leverage and when you look at how they perform during a bull market, you can see the merit of that argument. If you bought gold bullion in 2001 and held on to it until 2006, you would have seen its value rise by 92%. In the same period, the BUGS Index rose by 648%. if you had maintain your investment in gold stocks, you would have benefitted from a further 39% rise in value up to 2012, but in the same period, the price of gold rose by 232%. What you can probably gauge from these figures is that when miners are doing well, the price of gold is also likely to follow suit. Sentiment does not appear to have changed that much over the years and when economic conditions get tough, such as the global financial crisis in 2008, investors often seek the comfort of holding physical gold as a hedge against underperforming markets. It is also worth taking into account the fact that there is a time of the year when physical gold is more in demand than usual. Autumn sees the gold jewelry industry replenish its stock and when you have world events going on at the same time that threaten market confidence, such as unrest in Ukraine and the Middle East, this can cause the gold price to spike. These market conditions and the potential for turbulence in supply chains can actually benefit not just investors in bullion itself, but also the mining stocks as well. The reason for this potential win/win situation is that mining companies have the ability to action some cost-cutting initiatives in order to maintain their profit margins. The best investment strategies are often those that plan for the medium to long term and investing in gold bullion or stocks is generally considered to be a long term play if you are going to reap the full rewards on your investment. Gold is the same as other precious metals in that prices and values can often be susceptible to adverse economic or political events, which is mainly down to the fact that it is an investment viewed in isolation and therefore can come under the scrutiny of investors and analysts, who collectively could influence prices in the very short term. There is an argument in favor of gold bullion in certain conditions and there is also an equally compelling case to be made for gold stocks as well, when you look at the past performance of both. The general consensus of opinion amongst gold analysts and traders who operate in this sector, is that a balanced mix of both physical metals and mining stocks will probably you serve you well and allow you to gain from various market responses rather than just the one scenario that could influence the price of gold and miner stocks. It is also considered prudent that give the potential volatility of gold prices, that you should limit your total exposure to gold to between 5% and 10% of your investment portfolio. The Royal Mint is asking the public to trust its new service aimed at those looking for an online solution to buying, storing, and selling gold. The Ministry of Defence holds all of the Mint’s precious metals for the service, which is guarded 24 hours a day by armed guards. GoldMoney is an online precious metals dealer that contracts with (primarily) Via Mat for storage. It’s audited annually by an independent accounting firm. But, it’s operations look more like a “gold bank” than anything else. The company sets up an online trading account for you, where you’re able to deposit money, earn interest on domestic and foreign currencies, buy and sell precious metals, and arrange for storage or delivery. Prices are very competitive and the customer service is what you would expect from a gold dealer. Like most gold dealer and depository arrangements, you own the precious metals outright. GoldMoney has no equitable, or legal, ownership or interest in your gold or silver. When you buy gold, through GoldMoney, you are engaging the company to act as an agent for the purpose of contracting for physical custody of your metal. GoldMoney’s holdings are fully allocated, which means that there is physical metal in a vault that is specifically yours. This differs from unallocated arrangements which are popular with some online services. Unallocated holdings mean that there is a pool of gold, but there is no specific delineation or separation of your gold from someone else’s. Bullionvault is the major competitor to GoldMoney. It was started in 2005 and today is owned by Galmarley Limited and registered in Great Britain, doing business on the 12th floor of the Landmark House, Blacks Road, Hammersmith, in London. Like Goldmoney, it operates as a dealer and arranges for storage of gold through Via Mat. In 2009, the company won the Queen’s Award for Enterprise (Innovation) for its use of technology in making the bullion market efficient and reliable for private customers. Then, in 2013, it was again awarded the Queen’s Award for Enterprise for growing overseas sales by 140 percent in 3 years. The company boasts over $2 billion in stored bullion with 34 tonnes of gold – more reserves than most of the world’s central banks. Kitco is one of the most trusted online sources for gold and silver (all precious metals really). Its gold savings accounts come as both allocated and unallocated. The unallocated account, called the Kitco Pool, allows investors to purchase gold at a low cost with no storage fees and a low spread. Investors can upgrade to allocated storage for a small premium. Everbank flies under the radar. Beginning in 1999, the company was started as an alternative to traditional banking, being one of the first traditional banks to also host a suite of competitive online banking products that mirrors traditional banking products. But, in 2002, the company was sold to First Alliance Bank of Jacksonville. Rather than hurt the bank, it helped it grow into one of the largest privately held banks in the country. Today, it offers gold and silver bullion at 1 percent over the spot price paid by the bank. This is one of the cheapest options in the marketplace. They’ll also arrange for storage and redemption, turning a basic gold holding account into what amounts to a god savings account. Since they’re based in Jacksonville Florida, it’s also easy to step into a branch location, which isn’t always possible with online gold dealers. You need to look at gold as a long-term savings. Short term fluctuations spook many savers, and it keeps them from really appreciating the long-term potential of precious metals. If you have a short to intermediate-term need for savings, keep this money in a traditional savings account or use an investment account denominated in your domestic currency. If you’re willing to hold gold for more than 5 to 10 years, choose a company that will be around for that long, at least. Smaller dealers and firms tend not to be as stable as larger firms in this respect, precisely because the business’s longevity is tied to the owner of the business. With larger firms that contract out to established vaults for storage, your risk is minimal. Start small, and save as much as you feel comfortable with. Most savers would do well not to overallocate in gold, so if you’re unsure about how much you should invest, talk to a financial planner who specializes in precious metals. There are a number of different ways in which you can gain exposure to gold stocks these days and here is a look at the options and what risks or potential benefits they offer to investors. The most direct way of investing in gold other than buying bullion itself is by buying gold miner stocks. This is generally considered a more speculative and therefore riskier method of investing in gold, mainly because you are gambling on the fortunes of one or several gold mining companies rather the market as a whole. Mining stocks can demonstrate as much as a three-to-one leverage in comparison to the spot price of gold, both on the upside and downside. The fundamental reason why gold miner stocks can be such a risky proposition is that they are trading within the broader equity market and therefore can be susceptible to general stock market sentiment as well as the outlook for gold. In addition to this, each stock will be scrutinized for their gold production performance and the perceived quality of their reserves as well as the strength of the management team. All of these factors can heavily influence their share price and especially when there has been a general decline in global gold production since the beginning of 2000. A common theme amongst more novice investors is to to invest in small gold miners who are in their exploration phase and have little to offer in the way of cash flow or inventory. What this can mean is that if you get lucky and pick a stock that literally strikes gold, it can make your investment look very shrewd as the stock price rockets, but this is a big gamble as only a small percentage of these trades even strike gold, let alone turn a profit. These stocks are referred to as Junior Miners and as the name suggests, they are young companies who are trying to become a major source of future mining supply at some point in the future. if they succeed in finding a source of gold that is economically viable to produce, the very promise of their find is often enough to send the share price soaring. You will be able to find companies who invest heavily in using highly trained geologists and geophysicists in order to improve their odds of success, but investing in any junior mining stock has to be considered as highly speculative and any financial exposure to this type of stock needs to be a very small percentage of your total portfolio. Analysts with the expertise in this sector often advocate the policy of choosing quality over quantity and limiting your portfolio to a spread of no more than 10 different companies in total. Look for companies with strong production figures and reserve growth and another possible positive indicator is when your target company is demonstrating a policy of buying smaller-cap companies in order to maintain their production levels and continue to grow their profits. if you are looking to get a spread of gold stocks, investing in up to 10 different companies should give you an opportunity to take a few risks with some more junior miners while having the relative safety net of a strong performing major player in the gold sector. You will need to be aware that investing gold stocks directly will involve some volatility in prices. if the price of gold drops by 10%, you can often see gold stocks fall by as much as between 20% and 30%. This level of movement needs to be expected at certain times and some investors sell too early as a result of getting nervous about their investment, which is why investing in gold stocks should be viewed as a long term and speculative play. If you are reluctant to invest directly in specific stocks or feel that you do not have the required market knowledge to choose the right portfolio, it may be that investing in a gold mutual fund is the right choice for you. Investing in a gold mutual fund will give you exposure to a chosen portfolio of gold stocks that will often comprise of some senior gold stocks,which is the description given to a large well-capitalized company with a proven and profitable track record over a number of years. This type of investment is often considered to be a more conservative approach to gaining some exposure to gold in your investment portfolio and should prove less volatile. Many experienced investors still take the view that investing in gold through ownership of gold mining stocks or mutual funds, as well as buying gold bullion too, provides them with a direct counter to the performance of the dollar. Here is a look at the best performing gold mutual funds. Click on the link for each fund to see their performance figures and all other relevant information about their holdings and historical quotes etc. These funds predominantly concentrate on investing in gold mining stocks although they may have some physical holdings in gold bullion and also some exposure to other precious metals such as silver and platinum. You will see that gold funds have had a torrid time in general with one year performance figures that register falls ranging from between 25% and 35% . This is representative of the weakness of the gold price in recent years and you will therefore form your own opinion as to whether this current scenario offers a buying opportunity or a reason to hold fire on your gold investments until the market shows signs of turning. As with most successful investments, timing can make a big difference in the short term and also in the longer term if it turns out that you invested near the bottom of a market that has subsequently risen. We are not specifically recommending any of these gold funds to invest in but simply pointing out their performance for your own interest. If you are of the opinion that you need to take action to protect your wealth and retirement savings from an unpredictable economic future, you would be one of a considerable number of investors who consider that gold and other precious metals should form part of their diversified portfolio. One of the least risky and tax-efficient ways of investing in precious metals like gold is to convert part of their 401 (k), annuity or IRA to a physical gold bullion backed IRA, which is also referred to as a gold IRA rollover. When you choose to invest in a gold IRA it is essential that you understand how you want to invest the funds you have available and also fully comprehend how your chosen investment strategy will impact your planning needs. The most important and basic question that you need to be asking yourself is what are your reasons for deciding to invest in physical bullion? The answer to that question may well consist of a number of key points but the three most salient reasons are as follows. You are looking for a better balance of your portfolio through diversification and you also want an element of protection too. If you have an investment portfolio that is heavily biased towards stocks, bonds and mutual funds, you are leaving yourself exposed to how the financial markets perform whereas an allocation of up to 10% of your total funds being invested in gold and other precious metals would help redress the balance of risk and provide another layer of protection against adverse stock market conditions. Another reason why some investors look to invest some of their money in a gold IRA is that they are fearful of the performance of major currencies like the US dollar and want a hedge against it. The third principle reason for investing in a gold IRA is the fact that there is the opportunity for future profit if you believe that the price of gold will continue to rise in the future. Before looking in greater detail at how to choose and set up your gold IRA, it is worth pointing out that the IRS has some restrictions in place and strict rules about what you can invest in when it comes to physical ownership of bullion and precious metal coins. The Internal Revenue Code permits IRA’s to own specific gold, silver and platinum coins and bullion, which meet their applicable fineness standards. Some of the most popular coins such as the American Eagle, Canadian Maple Leaf and Silver Eagle coins as well as gold and silver bars, would qualify provided they are certified as at least 99.9% pure. These purity restrictions will exclude some well-known coins like the South African Krugerrand which don’t come up to the required standard and the same applies to any bullion bars that fall below the specified purity level. Any coins or bullion that you acquire for your IRA will have to be held by the IRA trustee and not by your directly, which means you can’t hold gold in a safety deposit box in your name for example and still qualify for the tax advantage of an IRA. A good starting point when looking at the possibility of investing in precious metals such as gold through your existing retirement vehicle, is to verify what type of scheme you are currently subscribed to and what limitations or options apply to you in relation to achieving a gold IRA rollover. Here is a list of the most common retirement schemes in the US and a summary of contribution limits and allowable investments. Plan 2014 $ Contribution Limit Roth Option Gold Bullion Allowable? These are just some of the more common retirement plans and you would need to check with your chosen financial adviser to get specific advice about your current situation and options. The Roth Option referred to in the table is an option that is available with some employer-sponsored qualified plans and gives employees the option to deposit money into their retirement plans on an after-tax basis. The Roth option is seen as highly advantageous for well-compensated employees who have a high income that is above the threshold to permit Roth IRA contributions. It allows annual contributions which could give them the opportunity to accumulate a substantial amount of tax-free cash by the time the reach retirement age and if this applies to you, it may be worth seeking advice to see how this scenario can be used with a gold IRA. In order to set up a secure gold IRA that meets all the right requirements and provides the right investment platform for your money, you will have to choose a suitable custodian. As they will be acting as a custodian for your gold investments in order to comply with IRS requirements, you can understand why it is highly preferable to select a provider who is not just competent but also qualified. It is advisable to spend some time carrying out due diligence and to check and verify the credentials of the custodian you are thinking of using by checking their rating with accredited sources and reviewing customer feedback and reviews posted on trusted sites or from advisors that you already have a relationship with. Check whether the custodian has an accreditation with organizations such as the Better Business Bureau and verify their rating with someone like TrustLink. In addition to checking out from a financial and customer performance point of view, you also need to clarify whether the gold IRA company meets certain service standards as well. Check whether they are able to offer you gold IRA rollovers if you have an existing IRA and also verify if their scheme permits investments in other precious metals besides gold. Clarify what arrangements they have for secure storage of gold and what buy-back and guarantee policies they offer to their clients. It also normally more cost-effective for you if they offer a flat fee for their services rather than a scaling fee, which can see charges eat into your investment value. Make sure you do not buy gold from a company that is not in a position to create and manage an IRA for you. If you are looking to convert your existing 401(k) to a physical gold 401(k), there are a number of steps you need to follow in order to achieve this. Converting your 401(k) savings account to a gold bullion IRA is relatively simple but is dependent on your current situation. If your 401(k) is from a previous company that you no longer work for, you should be able to roll over these funds into a Traditional IRA. After the funds have been successfully deposited in an IRA, they can then be used to purchase the gold, using a trusted IRA custodian which you would already have selected. If you are still a current employee of the company that hosts your 401(k) account, it is still achievable to free up these funds for a rollover by using the in-service distribution option. What this means is that rather than being classed as a loan, it is actual distribution of funds that can be rolled over, provided the transaction is completed within 60 days to a Self-directed IRA, so that there are no tax consequences. You would need to ask your current employer whether their plan allows for an in-service distribution option and if this is the case, ask them for information on how to get through the process. If your employer does not offer this option and you can’t use an In-service option, there are still some avenues left for you to achieve your requirement. One step would be to make a formal request personally or use the chosen IRA provider to approach your employer and ask if they are prepared to add a precious metals option to the company’s 401(k) plan. If you run your own company, you can get help setting up a company gold 401(k) plan. This will allow the owners of the company and its employees to roll their retirement funds into the company’s gold bullion savings plan. It also opens up the opportunity to maximize the total annual amount that can be contributed on either a pre-tax or post-tax basis, which will hopefully give a boost to your long-term savings. Whilst the information provided here should help you decide if you want rollover into a gold IRA or not, it is not given as a recommendation and you should take professional advice so that you can make an informed decision based on your employment, financial and tax status as an individual. The usual caveat applies that past performance is no guide to future performance but at least by looking at how you might have fared with a gold IRA investment taken out in the past, you can at least get some feel for whether there is good potential to boost your investment portfolio. If you had invested $30,000 into a typical gold IRA back in 2001, the value of that holding would have grown to over $170,000 by 2013. The figure was actually higher at some points in the intervening years and highlights the fact that investing in gold and investing in general, tends to reward those with patience. This is probably one reason why a gold IRA could be a useful part of your retirement investment strategy. One of the attractive features of a gold IRA account is that when the time comes to start taking distributions out of your plan, you have the choice of either taking physical possession of your gold or liquidating them so that you generate cash. As a way of a quick reminder and to cover some basic investment questions, here are some of the frequently asked questions in relation to gold IRA’s. Why should I create a gold IRA? Many investors choose to create a gold-backed IRA as a way of hedging against paper-based investments and because gold tends to hold its value over the long term. Can I convert my existing IRA into a gold IRA? Yes, all you have to do is set up a self-directed gold IRA and give your custodian instructions to fund the new gold IRA with your selected permissible gold investments. Can I use existing gold investments in my gold IRA? You are not allowed to use your existing gold investments and the IRS rules dictate that you must only purchase specifically approved types of gold and this does not include what you already have. Can I store my own gold? You are not allowed to personally store any gold under the rules of the scheme. This means that any gold investments in your gold IRA are held in a trusted repository by your custodian. What kind of gold is acceptable? There are specific IRS rules about the types of gold you can hold in your IRA. As a general guide, the gold must be at least 99.5% pure and only certain coins like the American Eagle are allowed, but they must be legal tender coins. A 401(k) is a retirement plan that is sponsored by your employer and it provides you with the opportunity to invest a percentage of your salary into a company scheme without taxes being deducted. Taxes are only deductible once the money is withdrawn and the general suggestion is to make use of this tax-free opportunity and contribute enough into your 401 (k) so that the company matches the amount you put in under the rules of the scheme. The 401 (k) plan is named after the relevant section of the tax code related to pension investments and was introduced into legislation during the 1980’s as a way of encouraging workers to supplement their pensions through a company scheme. The traditional company pension was entirely managed by the employer and these pension funds were then used to pay out a steady income to employees during their retirement years. Some government jobs or workers who are represented by a particularly strong union, may still be eligible for an old-style pension, but 401K’s are now the default option due to the significant costs of running a pension scheme and you are now more likely to be offered a 401 (k) plan. The fundamental point about a 401(k) is that it gives you a level of control over how your money is invested, which is not the case with the more traditional company scheme that existed previously. Most of the plans available give you choice of various mutual funds comprising of bonds, stocks and money market investments and a traditional investment route is often to choose what is referred to as a target-date fund. This is a combination of bonds and stocks that takes a progressively more conservative approach with your pension money, as your retirement date draws closer. As you might expect, there are numerous caveats and restrictions that apply to saving via a 401 (k) and in the majority of cases, one if the primary rules is that you are not able to tap into your employers contributions as soon as you commence employment. This is called vesting, and it refers to the amount of time that you have to work for the company before being eligible to gain access to any payments made to your 401 (k). The reason for this restriction is to safeguard against employees leaving early and there are also some fairly complex rules and punitive penalties that govern when you can withdraw your money, if it is before your chosen retirement age. There are a number of viable reasons why you might want to consider your investment options and look at ideas such as transferring your 401k to gold. Some of the issues associated with 401k investments is that there can be high administration costs for employers, which they may want to pass on to you through various fees. Another point is that although you are presented with a variety of investment options, these are mainly financial assets which can be adversely affected by factors such as hyperinflation, government policy changes and a decline of the US dollar. It is for these and a number of other reasons, that investors are now becoming more willing to consider other investment ideas such as a 401k to gold IRA rollover. A large number of financial assets are exposed to the threat of hyperinflation, especially in view of the recent government policy of quantitative easing, whereas the historical perspective is that gold is often more resistant to the effects of hyperinflation. Another reason for considering transferring your 401k to a gold IRA is that it is a commodity that tends to increase in value during economic uncertainty and can potentially provide a good hedge just before your retirement years where financial instability is something you would want to avoid. The information given here is not investment advice and you should seek a professional investment adviser’s opinion before taking any action. The aim here is to provide some reasons why you might want to consider the option and some useful information on how to achieve a transfer or rollover into a gold IRA. There can be tax advantages to investing in gold through a 401k transfer or rollover, as you will typically create a deferred tax status on your assets until the point when you decide to make a withdrawal. It is also often considered the case by financial experts that the tax laws surrounding gold are generally easier to understand and administer than those relating to a 401k. If you choose to transfer your assets, this involves instructing the company managing your 401k to transfer your new chosen custodian. If you choose to rollover, this involves firstly transferring the assets to you and then subsequently on to your next chosen custodian. An important point to note is that when you do a rollover, you won’t lose your deferred tax status on your assets but this is not necessarily the case when it comes to transfers. There are specific regulations in place regarding rollovers and the main ones to be aware of are the fact that you have to perform the rollover within 60 days once you have officially started the process. The other key point to remember is that you can only rollover the same assets once every 12 months. The general opinion is that the best way to move into a gold IRA from a 401k is to do a rollover instead of a transfer, but you should take specialist advice from someone who can spell out your options and help with the necessary paperwork, if you decide to go ahead. The simple answer to the question of whether it is best to invest in silver or gold is that there is no specific advantage or point that makes one metal a better investment than the other. There are times when gold outperforms silver and can be considered a better investment and then there are conversely, points in time when the performance charts suggest that your money would be better in silver. As with so many charts and statistics, you can take a set of figures and create a persuasive argument for investing depending on how you view the numbers and when you are analysing them. A good example would be that if you were to compare the performance of gold against silver for the two years between 2006 and 2008, when all bets were off and the global financial crisis took hold, you would have seen the value of your gold rise by 10% but if you had chosen silver during that same period, you would be nursing a 20% loss in its value. Between 2008 and 2011 and in part probably due to market reactions and sentiment surrounding the financial crisis, silver managed to significantly outperform gold. From 2011 onwards until mid 2014, gold has managed to outperform silver, so there are points in time where both metals have their moment in the limelight, meaning that you probably can’t take past performance in isolation as a reason for choosing one over the other. What you can garner from looking at the past performance of gold and silver is that silver has a volatility factor that can be as much as 70% higher than gold, so an adventurous investor looking for a risk and reward play might try to pick their moment in order to benefit from the volatility in silver prices, although that is a dangerous game and could prove expensive. One argument that you could put forward in favor of gold over silver, is that gold enjoys status as an alternative to fiat currencies, whereas you could not argue that was the case when it comes to silver. Silver is the more widely used metal in comparison to gold, when it comes to industrial applications. This means that if global industrial output is on the rise there would likely be a strong demand for silver which could help push prices upwards. Conversely, if we enter a period of economic downturn, demand for silver industrial usage would likely curtail and have a potentially negative effect on prices. You could firstly argue that silver may well be better value in comparison to gold. Taking the price position at the beginning of 2014, it could be viewed that an ounce of gold is 61.5 times more expensive than an ounce of silver. Silver reserves outnumber gold reserves by a factor of just over ten, so the gold/silver price ratio should be closer than it actually is. It is this pressure on prices that means a number of mining companies who are focused solely on silver production, are finding it almost impossible to turn a profit at current rates. The positive aspect of this scenario that silver production may well fall lower if miners can’t make a profit from their operations, which means that supply pressures could help to force the price of silver up. The other point to consider when it comes to smaller investors, is that someone could buy about 40 ounces of silver for about $1,000 in coins, whereas you can’t buy an ounce of gold for the same money. This makes silver popular amongst more modest investors and helps to maintain popularity and prices as a result. Gold is popular as an investment and one of the fundamental reasons for its popularity is that investors often buy gold as a way of diversifying risk. Gold is a physical asset and although it can rise and fall in value, it cannot go bankrupt or default on its promises or obligations, which is why that gold bullion in particular does have a history of rising in value in times of crisis. Diversification is a good strategy to keep to in your investment portfolio and when you look at the long term performance of gold, you can find reasons why holding a percentage of gold could pay dividends over a period of time. Precious metals like gold and silver can often act as an insurance policy against adverse stock market conditions or periods of uncertainty in the world and central banks are continuing to buy gold, which could be viewed as a strategy to follow or at least indicates that demand for gold will potentially push prices up and silver may well follow suit. As you can make a case for investing in both gold and silver, some investors choose to gain an exposure of between 3% and 5% of their total investment portfolio and how you split those percentages between gold and silver probably depends on your views on the stock market and industrial growth. Gold has been a fundamental part of human history and is seemingly deeply ingrained in our culture. When you look at the history of gold you can go as far back as 564 BC when King Croesus found the the right refining techniques to mint the world’s first standardized gold currency. The precious metal has even been used in outer space, when the first manned space flight in 1961 used gold to protect sensitive instruments from radiation damage. From the early coins known as Croesids (after King Croesus) which became universally accepted and traded with confidence, gold has continued throughout history to be a recognized form of currency. One of the earliest forms of jewelry can be traced back to 2600 BC, when the goldsmiths of Mesopotamia crafted a burial headdress which had willow leaf-shaped gold pendants. One thousand years later and the Egyptian goldsmiths carried out the first smelting of gold, although a much earlier example of fine craftsmanship was achieved when the iconic funeral mask for Tutankhamun was created in 1223 BC. It was in 1300 that the world’s first hallmarking system was introduced at Goldsmith’s Hall in London and in fact, where the London Assay office is still situated. Seventy years later, we witnessed what is known as the Great Bullion Famine, where various major mines exhausted supplies and mining and production of gold decline sharply, created a major shortage of supply. California witnessed a gold rush in 1848 after John Marshall discovered gold flakes at this sawmill near Sacramento, resulting in about 40,000 diggers converging on the area to try and strike gold for themselves. Just 37 years later in 1885, the South African gold rush begun after an Australian miner called George Harrison fund gold ore near Johannesburg. The country is the source of about 40% of the world’s gold. Gold bullion has always played a pivotal role in economic policy and in the past we have had the Gold Standard, which linked the currencies of many major countries to gold. The Gold Standard was abandoned as President Nixon introduced the Bretton Woods System which is a system of floating exchange rates, still used by markets today. This has not deterred investors from gold in any way and the Central Bank Gold Agreement signed in 1999 confirmed this, when 15 European Central Banks declared that gold would remain an important element of their reserves. The relevance of the Gold Bullion Act 1985 is that it proved to be the catalyst for making the American Eagle gold bullion coin amongst the most popular of all the coins available in the United States. Congress enacted the Gold Bullion Act of 1985 as a result of an idea presented to President Ronald Reagan’s Gold Commission a few years earlier, in 1981. Congressman Ron Paul suggested the Act should stipulate that the gold to be used for producing the proposed American Eagle coin should only be sourced from newly mined resources. As a result of the introduction of the Act in 1985, the American Eagle coin went on to establish itself as one of the leading gold coins in the United States and also the rest of the world. In excess of 13 million coins of these distinctive one-ounce coins have been minted and distributed to investors and collectors since the 1985 Act was passed. It is interesting to note the rise and fall in demand for the coin when viewed in connection with the global financial crisis in 2008. In the year preceding the turmoil experienced in financial markets,the U.S Mint produced just over 140,000 one-ounce coins throughout the whole of 2007. Compare that to the 710,000 coins it produced in 2008 to try and keep up with demand from investors and you get a sense of how many view gold as a hedge against stock market turbulence. The American Eagle coins introduced as a result of the Gold Bullion Act of 1985 are legal tender and the coins are minted in one-ounce, half-ounce, quarter-ounce and tenth-ounce sizes. The coins are produced at the West Point Mint in the U.S and each one is an alloyed coin at 22 karats or .916 fine. President Reagan was the man responsible for ensuring that so many investors in the U.S and around the globe continue to acquire these coins after the Gold Bullion Act of 1985 became law. 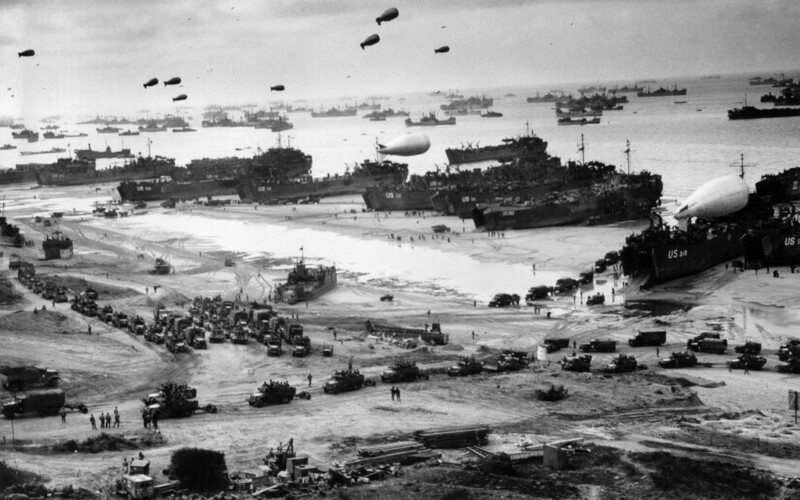 The effect of the Nazi attack on the Low Countries and the subsequent fall of France meant that World War 2 created a sharp increase in the rate of flow of gold to the United States, which was being used in order to provide payment for war materials. Britain paid for its war purchases by transferring in excess of $2 billion worth of gold to the U.S as well as drawing down British dollar balances by $235 million and also selling $335 million of U.S securities. A Lend-Lease agreement was struck under which at least $50 billion was spent by the time we reached the end of the war. Within a very short period after the enactment of the Lend-Lease, there was a noticeable and rapid rise in gold stock, covering a period between 1938 and accelerating after the fall of France came to an end. 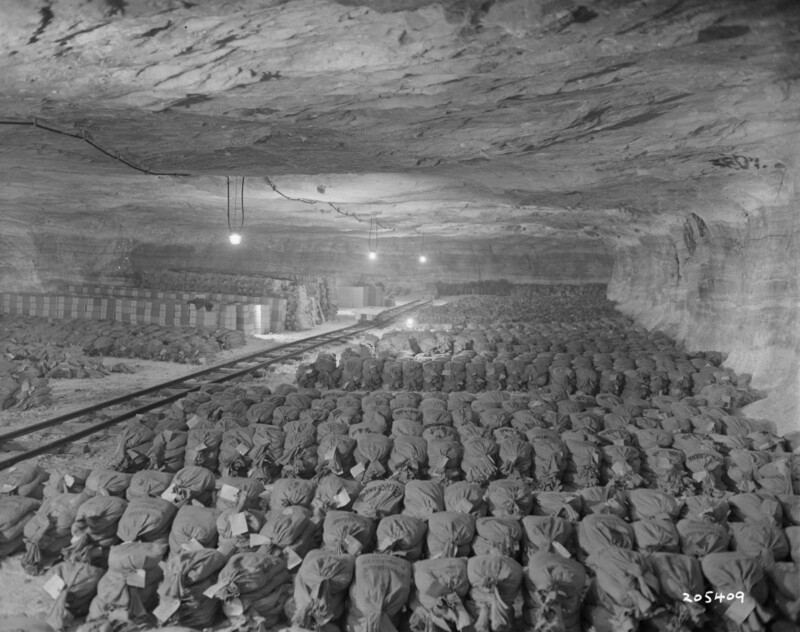 The Second World War witnessed predictable turbulence in economic conditions and despite the financial pressures of rebuilding Europe and Japan as well as further major conflicts in the form of the Korean War and the Vietnam War, the price of gold performed remarkably well given the circumstances. The price of gold managed to remain around $35 per ounce between the recovery of the price after the Great Depression through to 1967. In the early 1930’s, the United States and France in particular, begun a deliberate policy of devaluing their currencies in what turned out be a futile attempt to rescue their collapsing exports. In 1933, President Roosevelt, made a decision to issue a ban on any buying or selling of gold bullion in the U.S, which had the effect of increasing the price of gold by 65% in the same year. When he subsequently officially devalued the dollar in 1934, this caused the price of gold to soar in this two-year period, from the historically stable level of $20.60 per ounce to $34.70 in 1934. War and conflict continues to have a major impact on gold prices and perceived values. You only have to look at the impact of recent events in Iraq and Afghanistan, combined with the terrible events of 9/11, to see how markets and gold prices react. The continuing belief that gold is a safe-haven in times of trouble or unrest, is probably borne out by the fact that gold prices rose from a low of $278 to $1,200 in the ensuing time period. The actual amount of gold in circulation could also increase if some of the myths and legends surrounding this precious metal turn out to be true. There are many myths and legends surrounding gold and one of the more famous stories is about the Nazi Gold that is reputed to be worth about £1 billion and was according to legend, dumped in a lake close to Berlin, in the final days of the Second World War. It is believed that about 18 crates of gold may be lying on the bed of a 988 acre stretch of water known as the Stolpsee. The gold was allegedly dropped into the lake on the orders of Hermann Goering just before the Red Army made its final push into Berlin in 1945. According to an eyewitness, he saw around 30 concentration camp prisoners unloading the crates before being shot and killed to ensure their silence, once they returned to shore. many attempts to find the gold have been in vain so far, and in the 1980’s the German Secret Police used combat divers to search for the gold. Many have tried and failed so far and in 2013, the German Authorities gave permission for an explorer to use sonar and radar equipment to try and track the gold. 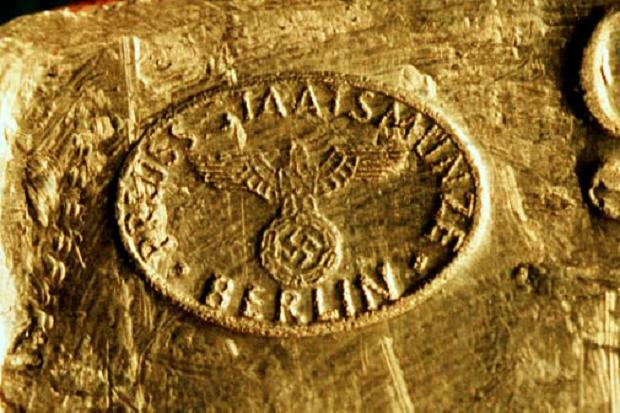 Maybe one day, the story of Nazi Gold will become a matter of fact rather than speculation.